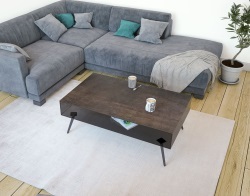 The Memphis coffee table is a delightful combination of retro and modern styles. 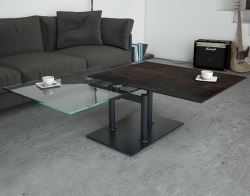 The main body of the table is 10mm thick smoky grey glass. On top of this are 2 pivoting plates which move independently of each other. The first is 10mm clear tempered glass and the second is 6mm of tempered glass with a 3mm steel dark plate glued on top. 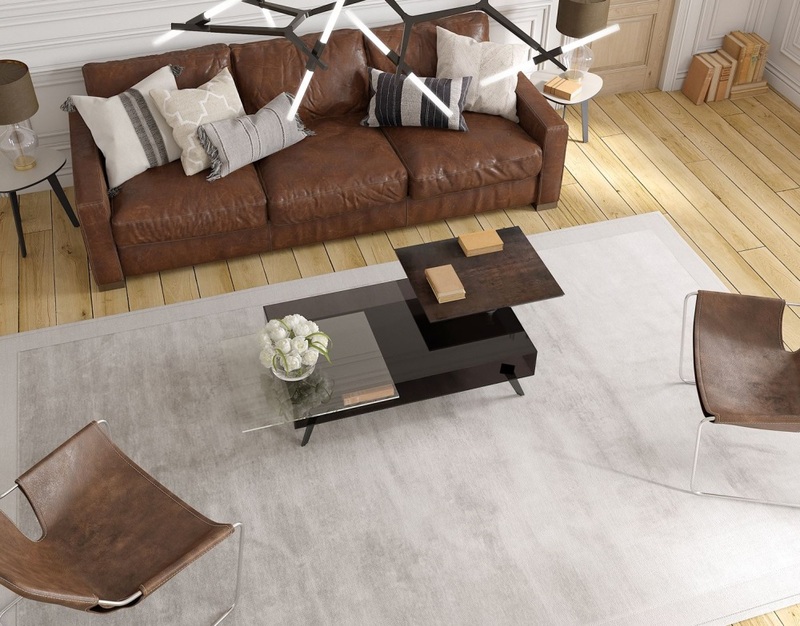 The legs of the table in black lacquered steel give it a slightly 70s retro feel as they are screwed at a tilt to underside of the table.